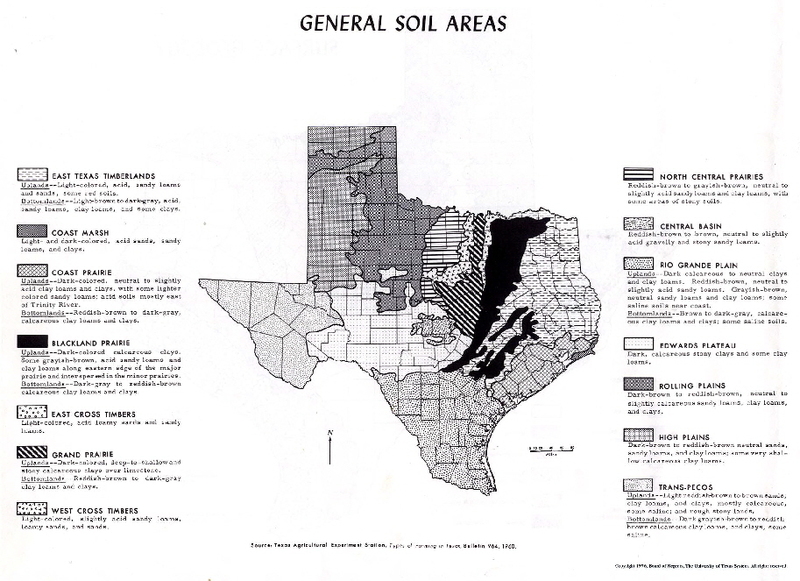 The drainage around the structure ideally should not cause any water to stand near or next to the foundation to help prevent saturation of the soil and influence the foundation. 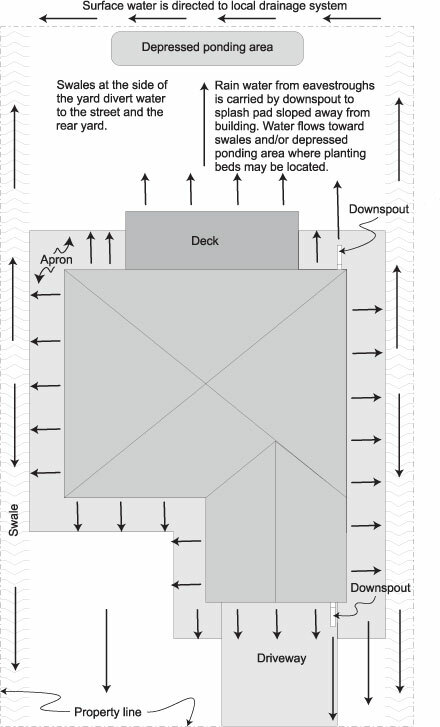 Think about the roof being a large collector of water during rains, a roof can collect hundreds of gallons of water during a hour rain and deliver all that water near or next to the foundation. Assuring most if not all rain water drains well away from the foundation is essential. 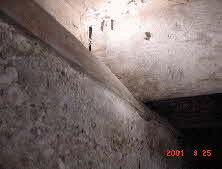 During our inspection we evaluate all conditions that may effect the drainage around the structure. 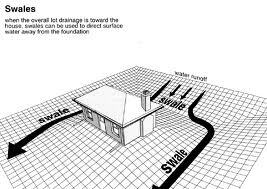 Low areas next to the foundation fill with water during rains and over saturate the ground causing sloping to the interior floors and stress cracks at walls and ceilings. Simple things can make a difference. No downspout has sunken this corner of the foundation, the interior floor slopes to this corner and sheetrock is cracked. It is better for the gutter to drain well away from the foundation during rains. Having down spouts trapped in corners, and turned splash blocks caused the slap foundation to crack and needed to have the foundation repaired. Had water marks at interior base boards from water penetration, carpet tack strip had turned black from being wet over and over again. 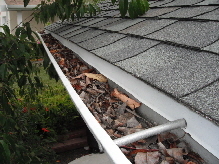 Keeping gutters clean and assuring good drainage throughout the gutter system can help a lot. A complete gutter system all around the structure is always best. Pier and beam structures have to be looked at differently than slab foundation structures. Your inspector will crawl around the crawl space to evaluate the drainage, drainage can affect the beam walls, sill plates. Signs of water running down the beam wall and had rotting the sill plates. Your Inspector will evaluate the areas around the structure for any needs to improve of the drainage of the lot and any possible trouble spots. 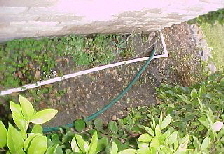 Bordered flower bed has been holding water during rains and effecting the structure. The flower bed had signs of past standing water. It’s always better to create a natural flow for drainage than artificial ways.